Leontia Flynn has published four collections of poems. These Days (Jonathan Cape, 2004 ) won an Eric Gregory Award in manuscript, and the Forward Prize for Best First Collection. It was shortlisted for the Whitbread Poetry Prize, and Flynn named as one of twenty ‘Next Generation’ poets by the Poetry Book Society. Drives was published by Jonathan Cape in 2008 , when Flynn won the Rooney Prize for Irish Literature and a major Individual Artist Award from the Arts Council Northern Ireland. Profit and Loss was Poetry Book Society Choice for Autumn 2011 . Leontia Flynn received the 17th annual Lawrence O’Shaughnessy award for Irish poetry in 2013 and the AWB Vincent American Ireland Fund literary award in 2014. 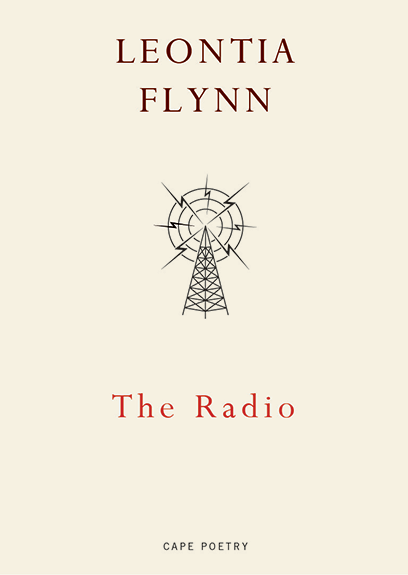 The Radio was published in 2017, was shortlisted for the T S Eliot Prize ad won the Irish Times Poetry Now Prize. Leontia Flynn was born in 1974 . She lives in Belfast.